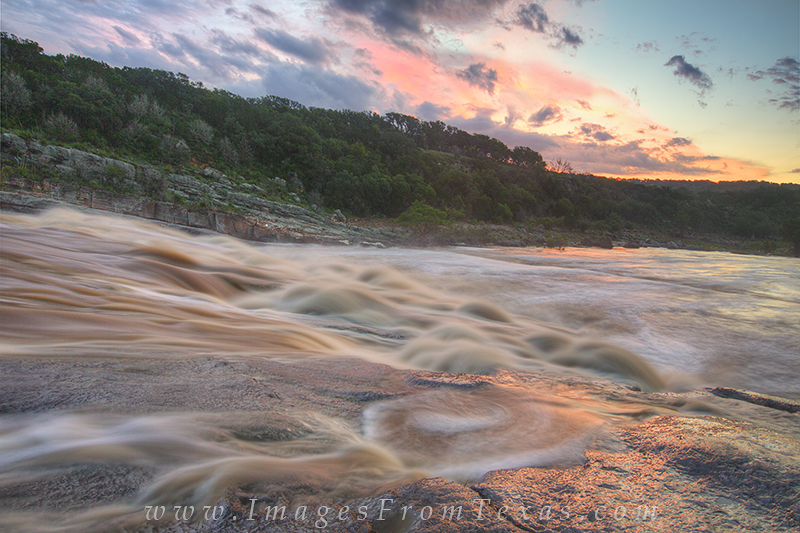 Sunrise over the muddy Pedernales River gives light to the raging river after a month of strong rains and storms. Many parts of the Texas Hill Country were devestated by these floods. While scenes like this show the beauty of this landscape, it also reminds me of the power of water. Photo © copyright by Rob Greebon.